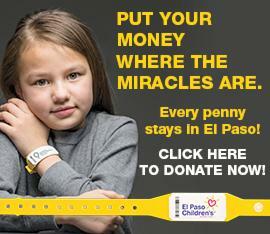 El Paso Children's Hospital Foundation provides funding and support services to facilitate medical conferences across a broad area of topics. Targeted to physicians, residents, registered nurses, first responders and other personnel, medical conferences are an important tool to stay abreast of the latest research and findings or gain new skills while receiving educational credits. Watch for new conference dates and times, coming soon. For more information, contact Miriam Flores, Program and Event Administrator, 915-521-7229, ext. 80524, miriam.flores@umcelpaso.org. 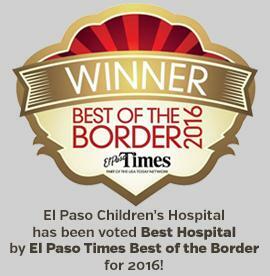 We wish to thank our grantors, sponsors and partners: University Medical Center of El Paso, El Paso Children’s Hospital, Texas Tech University Health Sciences Center of El Paso and the Paul L. Foster School of Medicine.